As we emerge from winter, all the team at Ej Shaw Storage are making sure that our facility is looking the best it can ready for the spring and summer rental season. 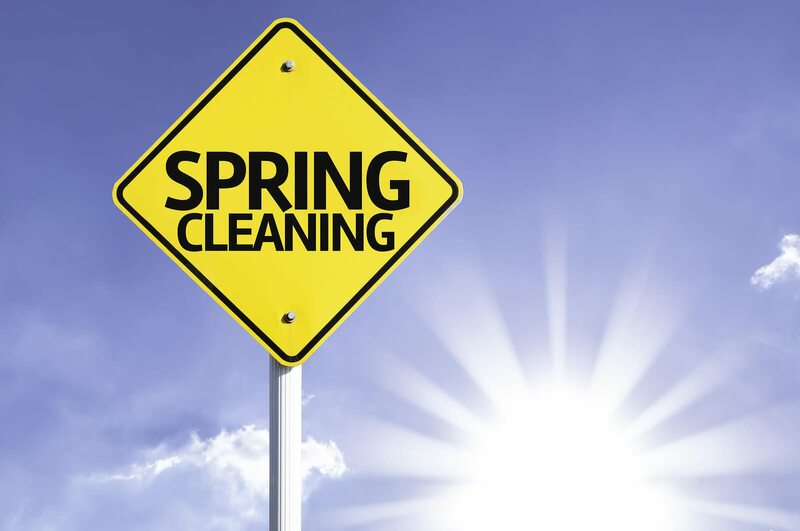 We thought we would share with you some spring cleaning tips that we reckon are pretty good and we even use some of them ourselves at Ej Shaw Storage! The number one tip. Make sure that your space with us at Ej Shaw Storage is tidy. spaces are pretty small and valuable space can be wasted by not storing your valuable goods in a tidy way in your storage space. Stack up all of your cartons at the back of the space and make sure that when you open the door the gear doesn’t fall on you. Tidying up at home most likely will mean that you will find that you have stuff that you may not need to use immediately. Drop that stuff down to your storage space and store it with us at Ej Shaw Storage. As it gets hotter, it’s time to give the barbecue to have a good clean. If you’re not up cleaning it for yourself, consider using one of the many mobile barbecue cleaners. They do a great job. If not then get out the rubber gloves, oven cleaner and start cleaning. If you’ve got a stainless steel barbecue, a final rub over with some WD-40 will make it look brand-new. Don’t forget the garage. Over winter you can accumulating grudges that belongs outside or outside in the shed. Consider having a big clean-up of the garaged moving unwanted items either into the storage space at Ej Shaw Storage or into your shed. Garages are for cars, not storage. With springtime fast approaching, many people list their homes for sale. De cluttering your home and getting personal items out of your home and into a storage space are absolutely ideal to make your house look larger and more valuable for your upcoming real estate sale. Time to get the pressure washer out and clean up all of those concrete path’s to get rid of all of winters mould and slime. This is also an important safety aspect is concrete can get really slippery when path and driveways are covered in moss and slime. Don’t forget to call into Ej Shaw Storage and pick up some cartons and bubble wrap if you are packing up items in your spring clean. Don’t forget to give your garage floor a good clean to get rid of the winter mess. Mud grease can easily be removed with commercial cleaners. The best time to do this is on a windy day as it will help the garage floor drive much faster. Springtime can be a busy time at Ej Shaw Storage and if we can help you with any further storage needs don’t forget to call us. We also appreciate your recommendation to your friends.